This is a quick weeknight dish that comes together in under 30 minutes (or faster if you have leftover rice at hand). Mix the broth, tomato paste and spices together. Set aside. 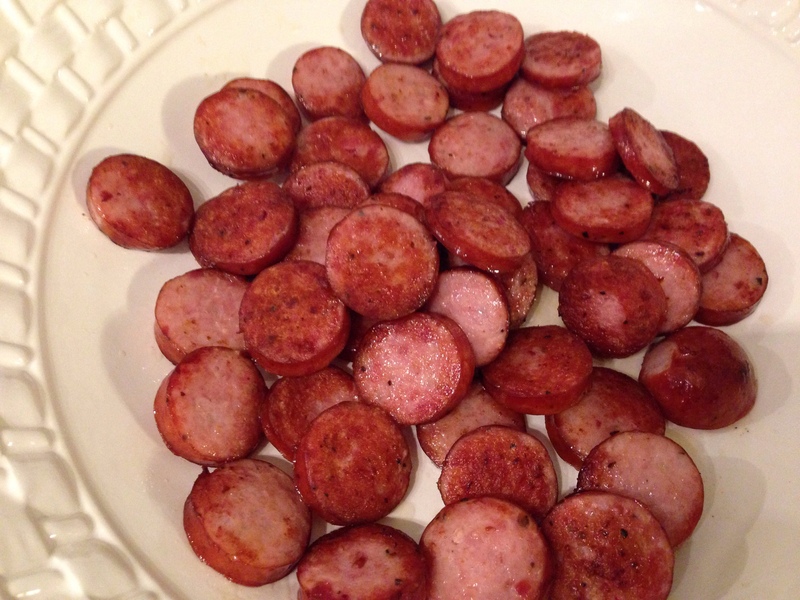 Brown the sausages on both sides. Remove from pan. 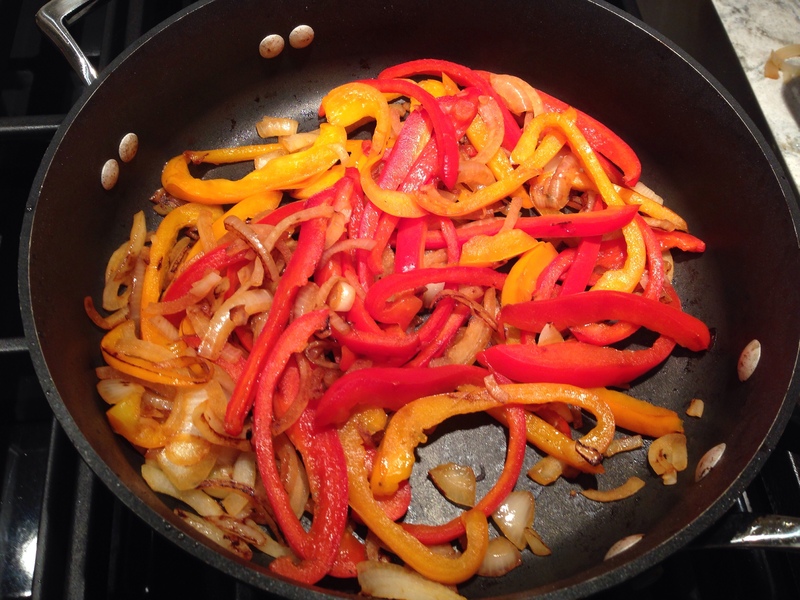 Sauté the onions and peppers until they start to soften. Return the sausages to the pan, adding the broth mixture. Stir until steaming hot. 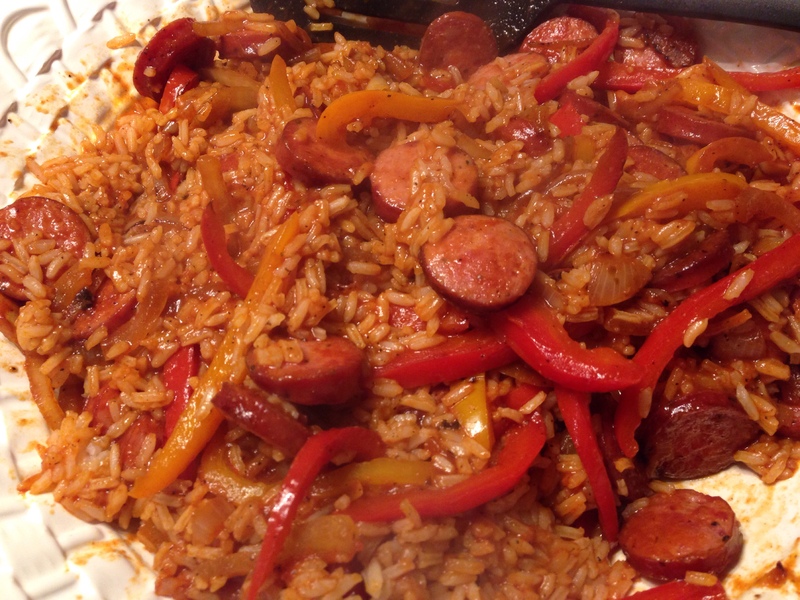 Pour over the hot, cooked rice and mix it up.